As a partner of the Ukrainian Spacemodelling Sports Federation, Noosphere is busy organizing one of the most exciting events in amateur rocketry. 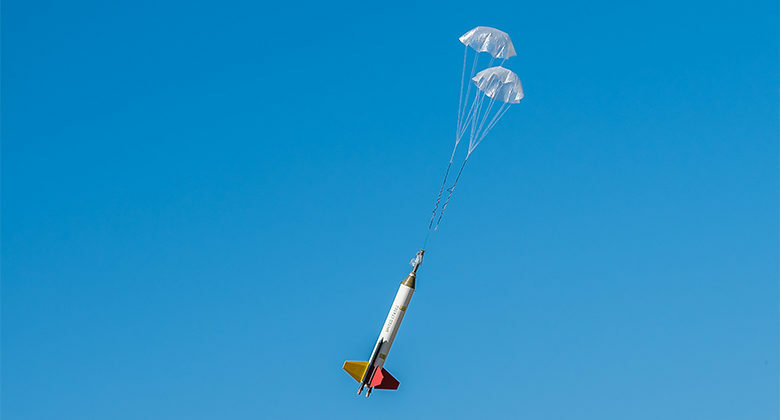 The amateur rocketry is one of the most interesting and hi-tech hobbies people get into. It is very technical and participants compete in designing, constructing and launching rocket models. Some are even remote controlled and require the operator to pilot there return to Earth. There are 9 basic rocket classes in amateur rocketry: S1, S2,S3, S4, S5, S6, S7, S8, S9. They vary both in the technical specifications of the rockets and in the goals during competitions. A love of aeronautics and space has attracted more and more people from all over the world to start building model rockets. Noosphere is excited to become a key player in this elite sport that requires interdisciplinary skills and a mind for design and engineering. In a couple of weeks about 150 rocketeers from 13 countries including Belarus, Bulgaria, Italy, Latvia, Lithuania, Poland, Serbia, Slovakia, Slovenia, USA, Switzerland, Estonia, Ukraine will come to the suburbs of Lviv to participate in 2015 FAI European Championship for Space Models. For 4 days, from August 23 till 26, amateur rocketry enthusiast will launch more than 30 replicas of famous space shuttles as the colorful landscape turns into a 100 000 sq m sports arena with massive rocket-plane wings appearing in the sky. The online scoring system Cup Navigator, designed by Noosphere specialists, will help guests watch hi-powered launches in real time. It allows organizers to broadcast videos of the flights and post the competition results on the big screen located in the entertainment area. The Noosphere team has prepared a full program for both guests and participants of the championship. The mix of science, space and entertainment is sure to create an unforgettable atmosphere. The championships will include an opening ceremony with a live music concert, workshops where experienced rocketry enthusiasts will show how to design simple model rockets, various sports activities and contests with cool prizes. Noosphere believes that Ukraine will capture everyone’s hearts with its hospitality. We wish all the participants success with their launches and record-breaking flights! We are also proud to announce that Ukraine will also host the World Championship for Space Models in 2016. The final decision was made at the FAI headquarters in Lausanne, Switzerland. The professional approach of Noosphere and the Ukrainian Spacemodelling Sports Federation representatives was the key factor for the official delegates at FAI.